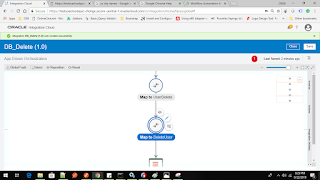 In the five series of blog, we are gonna to show the CRUD Operation in Oracle Integration Cloud Service. CRUD stands for Create, Read, Update and Delete. 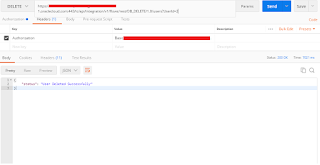 This is the fifth part of DB CRUD operation in Oracle Integration Cloud(OIC). Follow the article for the pre-requisite. 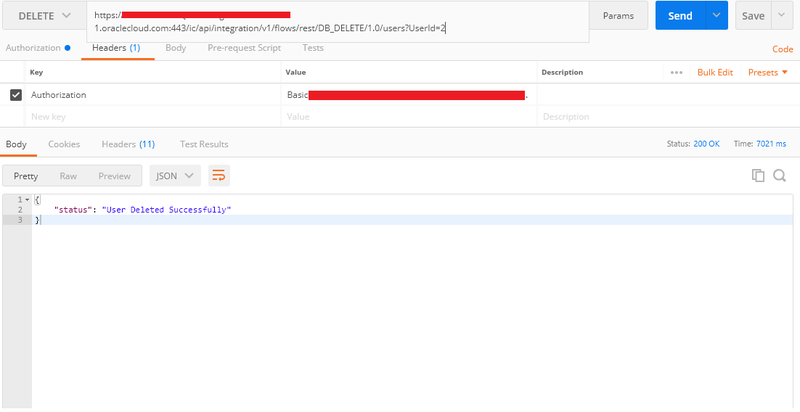 Drop a mapper just below the DB adapter and hardcode the value of status as "User Deleted Successfully"
Now the configuration is completed. Just save the integration and Activate. This is the time to test the REST service. POSTMAN client will be used the test the service. 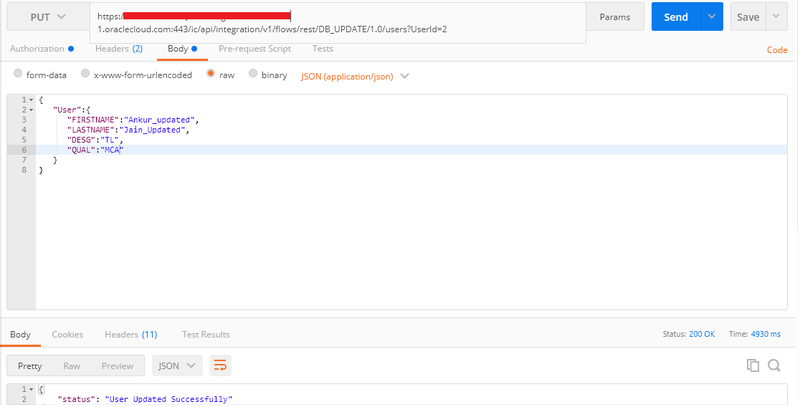 Enter the REST service endpoint in the POSTMAN and add BASIC authentication. 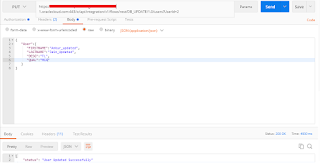 This is the fourth part of DB CRUD operation in Oracle Integration Cloud(OIC). 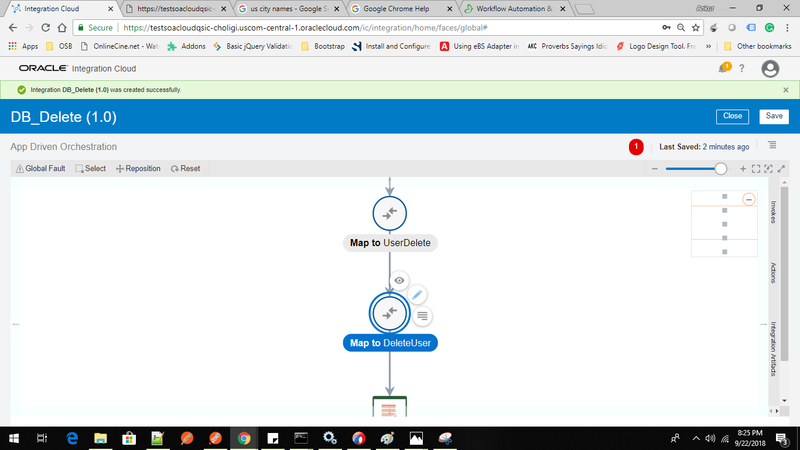 Drag a mapper just below the DB adapter and hardcode the value of status as "User Updated Successfully"
This is the third part of DB CRUD operation in Oracle Integration Cloud(OIC).